Hello folks! I hope you all had a thoroughly enjoyable Christmas and New Year holiday season! I had an absolutely wonderful time travelling back to the UK to visit family and friends in the frozen northern hemisphere. Back to work now though! Before I launch fully into this year’s blog posting (and I have a good number of post topics in mind for you for the next couple of months already!) I thought I’d check in with you, dear reader. I thought I’d check in with you and ask you what it is that you really want. 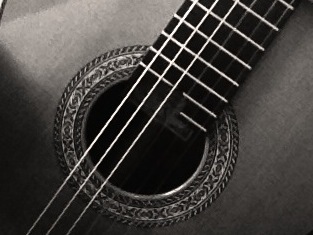 Is there a burning question you have about the classical guitar or guitar playing? Is there something you’re stuck on in your learning that you’d like some thoughts, tips and advice on? Do you have something you’d like to share with others, in relation to classical guitar, in the form of a guest post perhaps? Do you have an exam, audition or recital coming up and looking for some tips? Do you have seemingly inexplicable aches and pains that arise when you’re playing? Are you looking for some thoughts and guidance on a particular aspect of classical guitar technique or musical expression? Not sure how to best approach your practice time? Do you suffer from stage fright and looking for assistance? Are you looking for some new music to listen to but not sure where to begin? Are you just approaching classical guitar and/ or classical music for the first time (or first in a long time) and looking for some guidance? Just some thoughts for you…. I write this blog with the purposes of sharing information, making the classical guitar and classical music accessible to all, helping those learning the instrument and helping artists reach wider audiences. I write it for you! As such I really want to make it as relevant as possible to you. So please do feel free to respond using the comment box below or email me at classicalguitarnstuff@gmail.com with your thoughts and ideas for things you’d like to see on the blog this year. Previous postHappy New Year from Classical Guitar n Stuff!! I just started getting into your blog a couple months ago. Thank you for creating such a fine resource for all of us to enjoy. I really like the interviews you do with prominent guitar players. I would like to see a post about the guitar you play on and the quest you had in finding it. We all have a personal journey with finding the instrument or instruments we play on and hearing you journey would be awesome. You can turn it into a luhtier section for your blog that goes into different builds and materials for the instrument if you wish. More string reviews would be great too. What else would be cool is how you as a classical guitar player deals with questions about other types of guitar music. I am always asked whether I can play rock music from people that hear me play for the first time. I then go through my whole story with the guitar and explain how rock/blues/jazz is great for learning by ear and that I am not good at that as well as play a couple riffs among other things. Well, those are my ideas. Keep up the good work. Cheers from Boston, MA, USA. Lots of great ideas for posts. It’s great to know what things interest you guys out there! Hello Nicole. I’m fairly newer to your site but I have it bookmarked on my taskbar because there is always something interesting to read or learn here. Oh, and Happy new year in arrears. i do have a question though as a classical guitar beginner (6months). I’m teaching myself through Frederick Noad’s Solo guitar playing book. I follow the p-i-m-a alternations and finger/string assignments as traditionally played. However, when playing arpeggios or single line melodies the book often asks I play the lower three strings with i-m-i-m alternations. I find this incredibly hard to do and default to a-m-a-m or m-a-m-a only waking up my index finger when the G string shows up on the sheet music. Is default ma/am…alternation fine (for the First position) or should I go back to 5 months to lesson 1 and relearn how to alternate all bottom strings with im-im, or is this a skill I will pick up later, or am i making a big deal out of nothing? I’m sorry if the question doesn’t make sense I am really new to classical guitar. Hello – thanks very much for your question. A very good question that is too, as I’m sure there are others that have the same or similar question! Now one of the peculiarities of the guitar is that “lower three strings” can mean the three bass strings, i.e. those lowest in pitch. It can also mean those three furthest away from you, which are often termed the “higher” strings although they’re further away from you. It’s not entirely clear which you mean, but I’m going to guess you mean the three treble strings (those furthest away from you)? A short answer for you is that there are lots of things that we do on the guitar that feel really, really awkward and just plain awful to begin with. There is also no real “wrong” or “right” way of doing things. There are, however, ways of playing that are more efficient, effective, afford a greater degree of control and musical choice etc when you get that technique cranking. So whilst, in the short term, it might seem easier to skip training weaker or less preferable fingers, persevering and training them will pay off massive dividends (through greater choice and control in your technique) in the longer term. And there’s no shame in going back at all. Better to go back 5 months now, than get two or three years down the line to need to go back to repair a bad habit! I’ll write a blog post on this one for you in the coming weeks to elaborate further. I just ran into your blog and am thoroughly enjoying your lucid and simple approach towards explaining concepts – very refreshing and useful. I am based in India and have been playing classical guitar as well as jazz (mostly on the upright bass) for several years. Thanks, and all the best for the great blog. thanks very much for your message 🙂 Apologies for the slight delay in my response! Cross-domain learning, in my opinion, is definitely extremely beneficial. It opens up new ways of learning, new approaches, and give a different perspective in that there are potentially fewer pre-conceived notions of how things “should” be done. Great question – I think there’s a blog topic in this. And thanks for reading the blog. It’s really great to hear from you.